Like other assets acquired during your marriage, retirement savings are treated as marital property, no matter which spouse earned them. This means that any retirement savings earned or collected during your marriage must be included in the equitable split of marital property between the spouses. However, this does not mean that all retirement savings must be split fifty-fifty. Remember, an “equitable” split is not the same thing as an “equal” split. An equitable division of property is a division that seeks to put both spouses on relatively even footing for their respective futures. In some divorces, this will mean that each spouse receives exactly half of the marital property; in others, it will mean one spouse receives more or less than half, depending on that spouse’s other avenues of support and future earning prospects. Likewise, retirement accounts do not need to be split down the middle in every case. 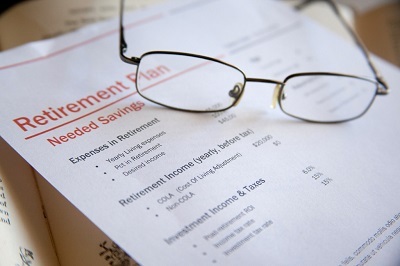 Instead, retirement earnings are simply one asset to consider among many. For example, a couple may agree that one spouse will keep a larger share of the retirement assets in exchange for the other spouse keeping the family home. Because your retirement savings will impact your future significantly, it pays to work with an experienced lawyer and other financial professionals as needed to reduce potential tax consequences and ensure a reasonable settlement. Contact the Law Offices of Paul A. Boronow, PC today. We can help you secure a divorce agreement that gives you the positive and bright future you deserve. You can reach us at (516) 227-5353.